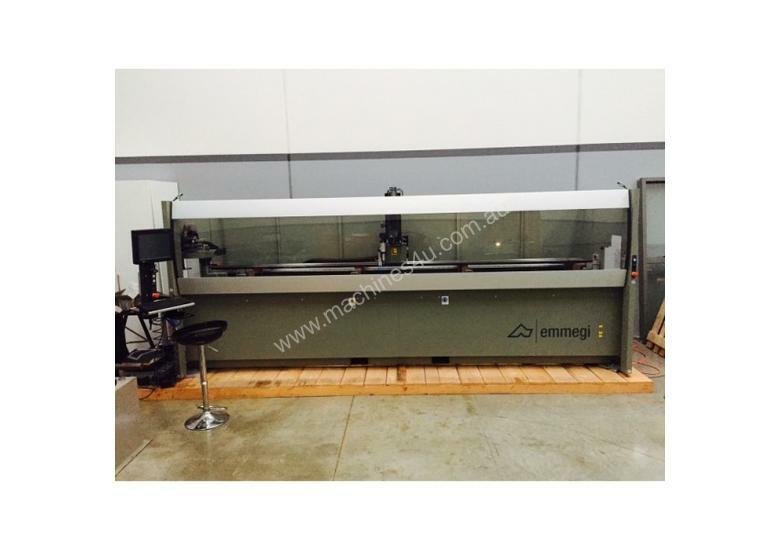 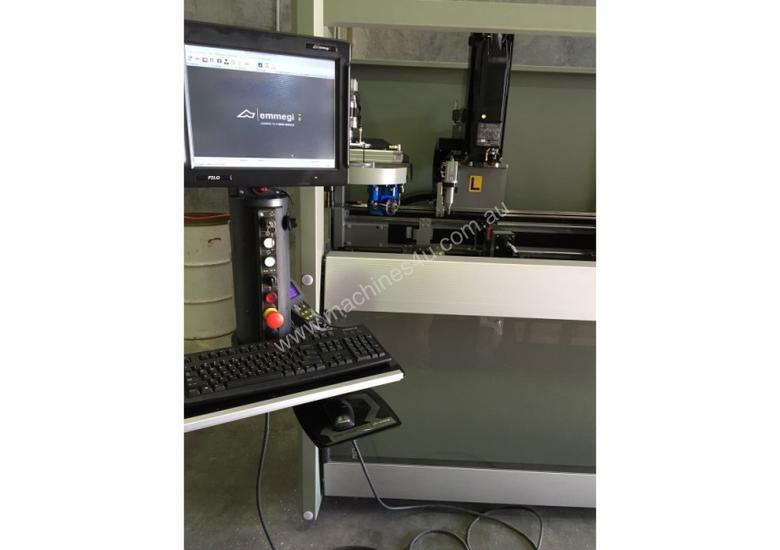 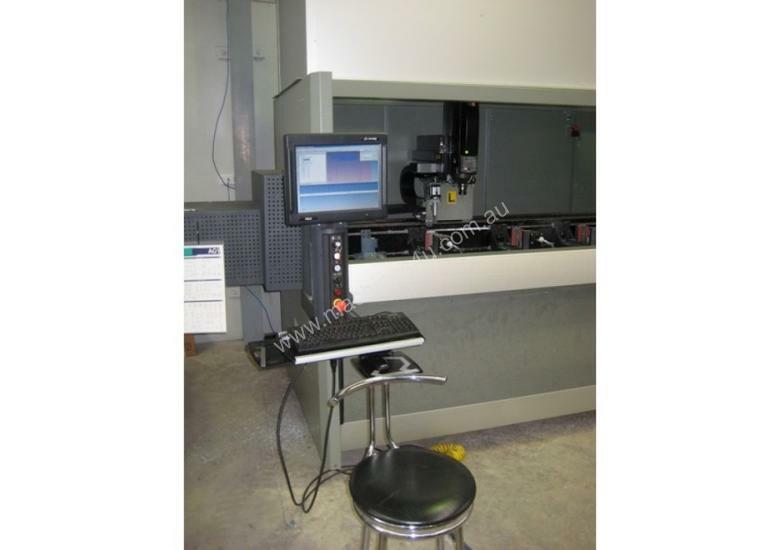 4000mm CNC machining centre, with 3 controlled axis. 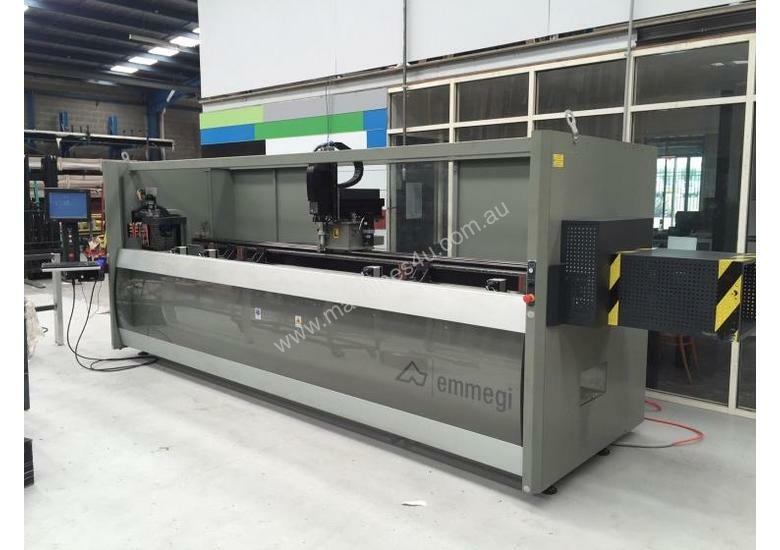 Used for the working of bars of aluminium, PVC, light alloys in general and steel pieces up to 3mm. 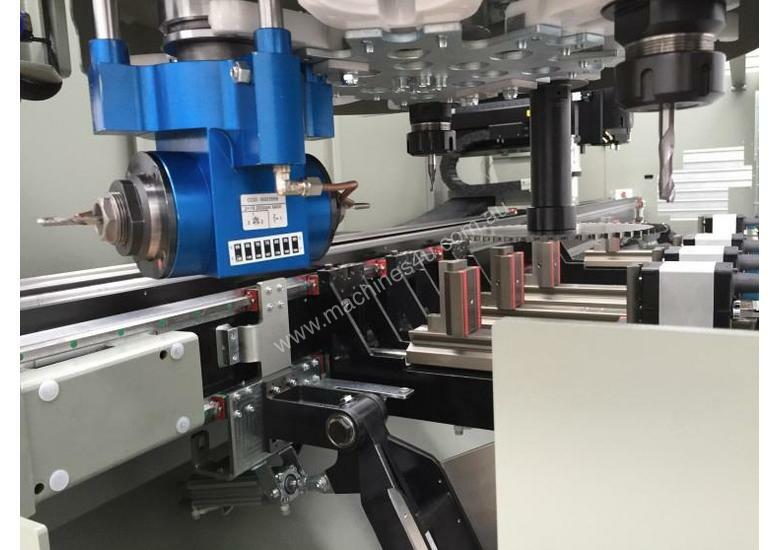 With automatically positioned clamps, It has a 4 or an 8 place (optional) tools storage, with the possibility of hosting 2 angular units and one milling disc to perform machining on the 5 sides of the piece. 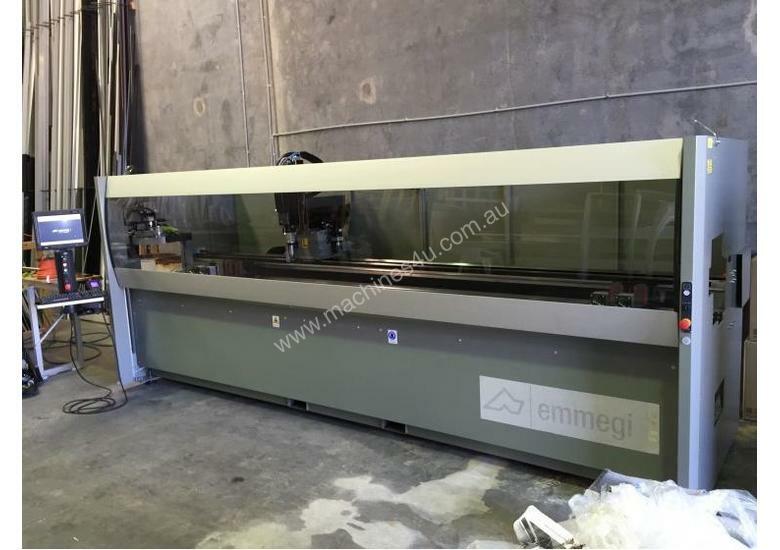 It also has a mobile work surface that facilitates the piece loading/unloading operation and significantly increases the workable section. 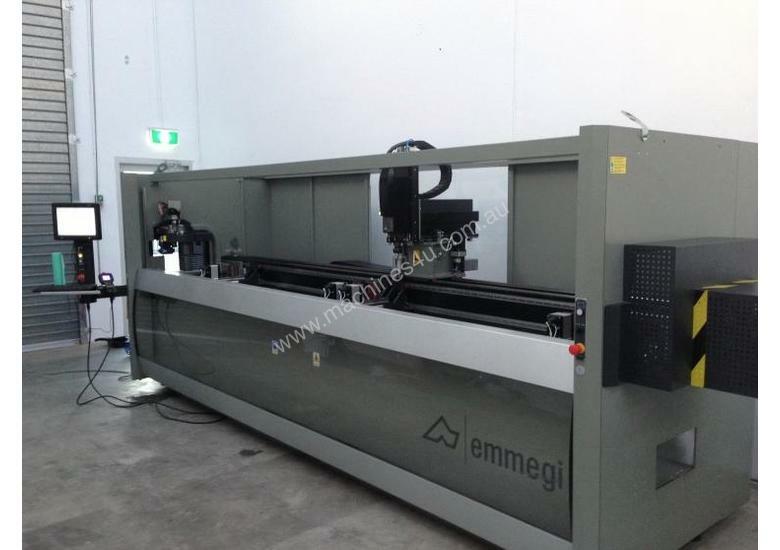 Includes a 7.5kW electro spindle. 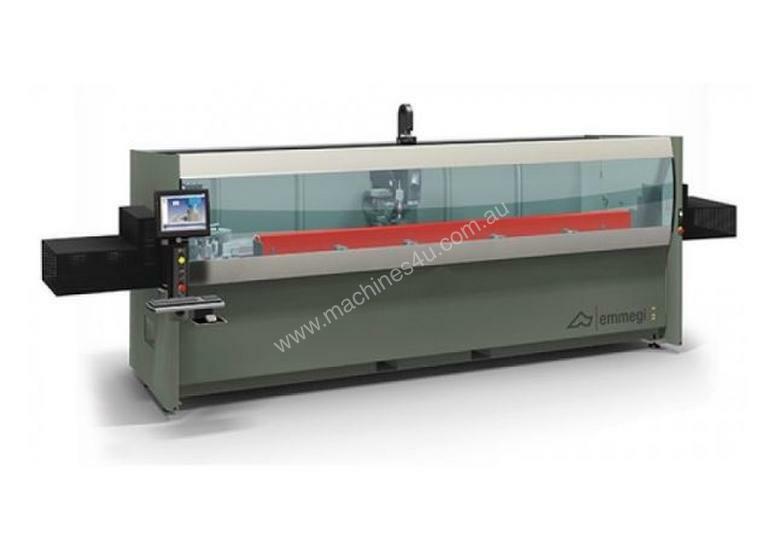 Alumach sell/install/service of a wide range of quality aluminium/uPVC fabrication equipment and machinery.